If Core i5 CPUs are great for most people, do you really need a Core i7? Intel’s Core i5 and i7 CPUs are still the most popular processors you can buy — and for good reason. But what’s the difference between them? Like most computer components, there are dozens of models at each tier to choose from, and it can get a little overwhelming. It’s worth noting before we get started that we’re talking specifically about Intel’s 9th-generation and 8th-generation “Coffee Lake” chips here. A lot of the information applies elsewhere, but the newer chips tend to provide noticeable features and performance improvements over previous generations. You won’t save a lot of money buying CPUs older than these generations and most PC builders and laptop buyers will want to stay away from earlier Core i5 and Core i7 offerings. Should you buy a Core i5 or a Core i7? For most people, a Core i5, like the 8400, is going to be the most sensible choice — especially since the latest-generation i5s are typically comparable to the previous one’s i7s. While there are a lot of factors in determining overall system performance, a Core i5 processor won’t usually end up bottlenecking your day-to-day performance. Most people, including gamers, will find a Core i5 perfectly adequate. 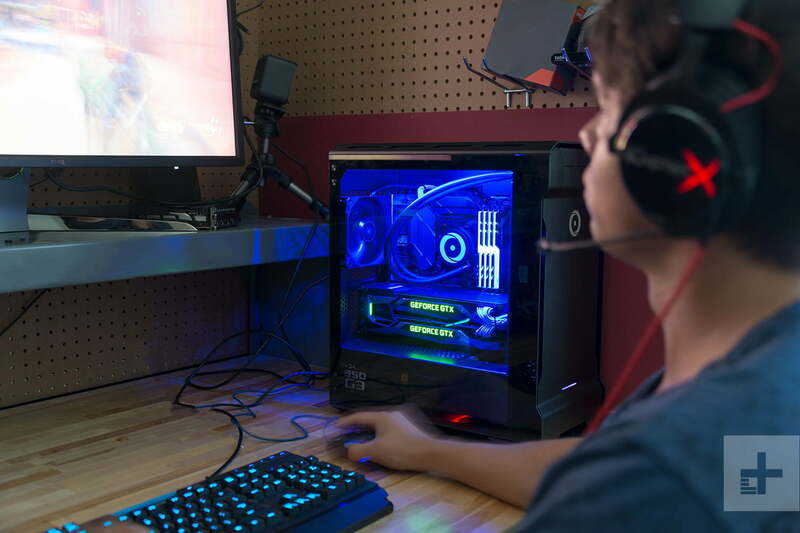 A Core i7 CPU, like the 9700K, makes sense only for users who don’t mind paying a premium for more power — or for users who often run demanding software like AAA video games at high framerates, perform video editing, or render 3D objects. If the best performance is what you’re looking for, it’s Core i7. That is unless you want to bump up to Core i9 (see below). Desktop Core i5 and i7 CPUs can be most typically separated by their number of supported threads and clock speeds. While both tend to have the same number of processor cores (six for the eighth and ninth-generation and four for older ones), some have support for additional threads thanks to Intel’s hyperthreading technology. That means that they can support twice the number of threads, making them better at multitasking. Typically all core i7 CPUs support hyperthreading on desktops, while the Core i5s do not. That was still true with the 8th-generation chips, like the Core i5-8600K and Core i7-8700K. With the ninth-generation though, hyperthreading was reserved for the Core i9 parts only, so the i7-9700K only supports eight threads. Core i5 CPUs, like the i5-8400, typically have lower clock speeds too, though not significantly so. They also tend to have smaller cache sizes, meaning they don’t perform as well at repetitive tasks. The added thread counts, clocks, and cache mean that Core i7 CPUs, like the super-powerful 8700K, offer better performance, but it comes at a cost. As our guide to the best Intel CPUs points out, higher-end i7 Chips can be a lot more expensive. That 8700K retails at $370, while the gamer’s favorite Core i5 9400F can be had for $150. Mobile processors are a slightly different story. Where desktop Core i5s never feature hyperthreading, some mobile versions do, allowing mobile dual-core i5 processors to handle extra threads at once. Core i7 CPUs are still more powerful though. Where the eighth-generation Core i5 CPUs have four cores and support eight threads, most Core i7 chips have six cores and 12 threads. You can usually tell a mobile chip by its naming convention too. A high-end gaming laptop might sport a Core i7-8750H. Like the desktop 8700K, it sports six cores and 12 threads, but its clock speed is noticeably lower (especially when it isn’t boosted) to help maintain lower temperatures. Older generations have lower core and thread counts, with some dual cores in the mix — like the Skylake-powered Core i5-6300U, which is a dual-core chip with support for four threads. The performance differences between Core i5 and i7 CPUs are roughly comparable throughout generations though. Where core counts are occasionally the same, thread counts rarely are and clock speeds of Core i7s tend to outpace those of their Core i5 counterparts — like the 6300HQ and 6700HQ. As with the desktop chips, Core i7s tend to have larger caches as well. Sometimes though, Core i5 CPUs can have higher clock speeds than an i7 chip. What does this mean? A quad-core with a high clock speed will beat a six-core with a low clock speed in applications that don’t use many cores; the six-core will be quicker in applications that do and will be better at multitasking. If the six-core has more cores and a higher clock speed, it will always be quicker. As with desktop chips, Core i7 CPUs tend to be a lot more expensive. If you were buying a Surface Book 2, for example, a Core i7 CPU can cost as much as $500 extra in an otherwise identical configuration. Intel’s Core i5 and Core i7 CPUs might be powerful, but they’re mainstream, consumer-targeted CPUs. Intel’s higher-end Core i9 chips are typically aimed more at professionals or the most affluent of gamers who need even more power, with most chips bearing that moniker having cost upwards of $1000 in the past. However, with Intel’s eighth and ninth-generation processors, it introduced some Core i9 CPUs that are worth considering too. The Core i9-8950HK made its way into laptops like Apple’s MacBook Pro and, after some throttling issues were fixed, proved to be a powerful chip indeed. It sports six cores and 12 threads, and can turbo clock up to 4.6GHz on a couple of cores at a time. Not many laptops offer it as an option, but it’s one of the most powerful mobile chips available today. In the desktop space, however, the Core i9-9900K is a real monster. With eight cores, 16 threads, and a clock speed that can reach 5GHz on a couple of cores at a time, it is the most powerful gaming CPU available today. It’s very expensive, especially compared with the competition from AMD, but for now, at least, it far outstrips anything else out there at its $500-600 price point. Are more cores and threads necessary? Overall, Core i5 and Core i7 chips differ in the way they handle processing information. Core i5 processors typically have fewer cores and can, therefore, support fewer simultaneous “threads.” These “threads” are used by software to manage multiple tasks simultaneously, rather than queuing everything up for execution one by one. In other words, they’re not as good at multitasking. Still, they’re great for most PC users, which is why we recommend the Core i5-8400 as the best Intel CPU. Hyperthreading, a feature most commonly found in i7 CPUs, doubles the number of threads that a CPU can handle, though those “virtual cores” aren’t as powerful as physical cores. A Core i7 processor with six cores can actually handle 12 threads of data at once. For concurrent processing tasks — when your PC needs to handle processor-intensive tasks at the same time — CPUs with lots of cores and lots of threads will perform better.